‡When consumed as directed at maximum dosage. Mix two scoops of Essential AmiN.O. Energy in 8-10 fl oz of cold water. 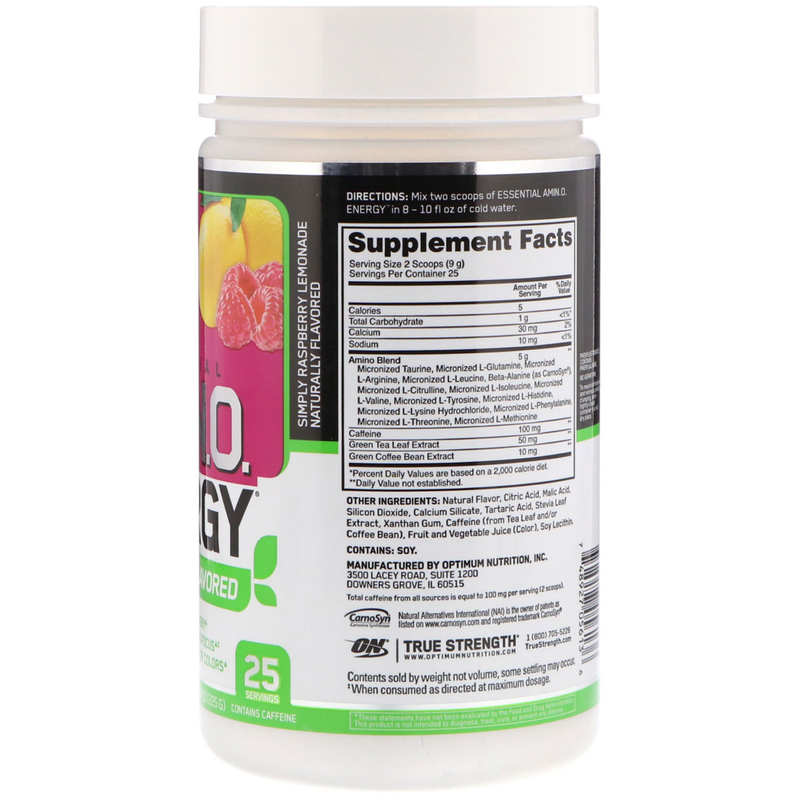 For Pre-Workout Energy Support: Take 2 scoops 20-30 minutes before training. For Post-Workout Amino Support: Take 2 scoops after training. Natural flavor, citric acid, malic acid, silicon dioxide, calcium silicate, tartaric acid, stevia leaf extract, xanthan gum, caffeine (from tea leaf and/or coffee bean), fruit and vegetable juice (color), soy lecithin. Do not combine with alcohol. 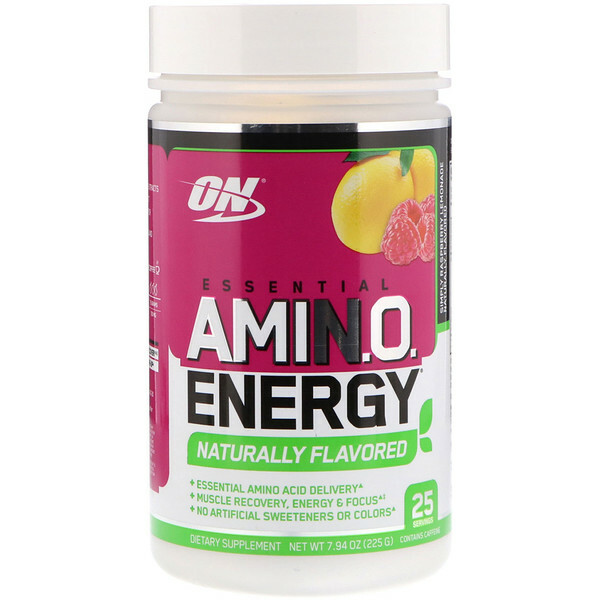 Do not exceed 6 scoops within any 4 hour period or 10 scoops within any 24 hour period. Consume as part of a healthy diet and exercise program and drink at least 100 fl. oz. of water per day. Exercise may increase your need for fluid intake. Total caffeine from all sources is equal to 100 mg per serving (2 scoops).